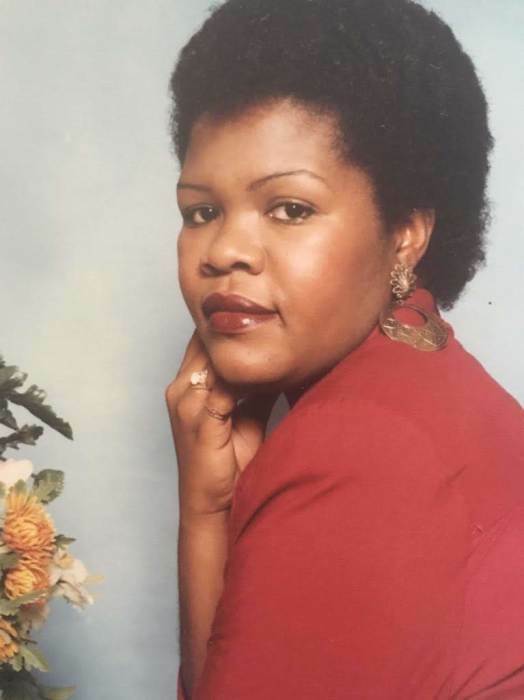 Rolane “Elsie” Auguste , 56, was called home to be with the Lord on July 10, 2018. She was 1 of 3 siblings (Lionel and Ernest Auguste) born on April 8,1962 to Marie Renaud and Vanier Auguste in Port au Prince, Haiti. At a very young age, it was evident that Rolane was special. Her strength and ambitious personality was put to the test after getting married and becoming a mother at the tender age of 15 to a son (Marc Jean). From that point on, her life would be changed forever. After giving birth to her second son merely two years later (Jeff Jean) and trying to get out of an abusive marriage, she was given the opportunity to come to the states to make a better life for her family. Although unfamiliar with the American culture, Rolane came and made it her business to do anything she could to better herself. While in New York, she met the love of her life, Fritz Duncan, with whom she would soon give birth to two children (Steven and Fabiola) in addition to her previous 2 which Fritz raised as his own and his 3 from his previous marriage (Rudy, Natasha and Michael Duncan) in whom Rolane accepted as her own as well. By the time she was 27 with 4 children of her own, she successfully graduated from cosmetology school in Brooklyn New York and used those skills to work with people. Later moving to Florida, she was forwarded the opportunity to be a teacher’s aide due to not having an education degree. Later promoted to a community liaison, she was able to work primarily with the students and parents of Haitian decent to help them successfully maneuver through their elementary years smoothly due to language barriers. Following those years, Rolane went on to get certified as a VPK teacher then returning back to school to get certified as a medical as assistant where she graduated top of her class from Everest University proving that her intelligence never wavered. It’s not a surprise that her greatest strength was her generous and magnetic nature. Naturally, she educated and inspired many which were demonstrated in her schoolings and careers over the years. Rolane always found a way to understand the hearts and minds of people, working with them and encouraging them. She didn’t waste her kind, thoughtful and considerate qualities. There was no doubt that her sense of humor and power of language made people happy. She thrived on love and appreciation while laughter brought out her spontaneity, creativity and sense of fun which helped others relax and feel comfortable with her. These same qualities are found today in her legacy of children and grandchildren she leaves behind. Rolane’s core purpose was to inspire and uplift others to see a happier perspective of life. As a daughter, sister, cousin, cosmetologist, teacher and so many other roles, her most prized role was being a mother. There was never a moment missed where she did not brag about her children and their accomplishments, which only was possible due to the many sacrifices she made throughout her life. No matter what happened, who came and left, what she had or did not have, she knew that she raised 4 beautiful children with the type of strength and resilience that you would only read about. Not only was she strong, she was a leader, she was resourceful, she was full of wisdom and loyal to the core. Mother: Marie Renaud; Brother: Ernst Auguste (Marsalla Auguste ); Sons: Marc Jean (Cisilia Jean), Jeff Jean , Steven Duncan , Rudy Duncan, Michael Duncan; Daughters: Fabiola Duncan & Natasha Duncan (Alex Rolle); Grandchildren: Jayla Jean & Karden Duncan; Along with a host of other relatives, extended grandchildren, nephews, niece, goddaughter, friends and community.